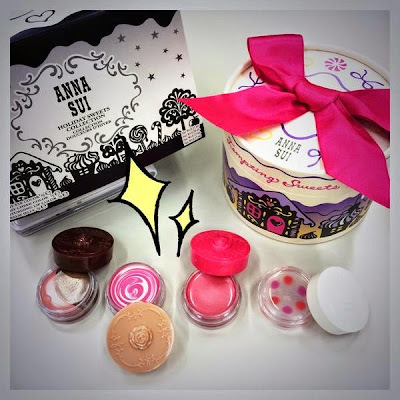 Anna Sui will release its Holiday Sweets collection in two batches. First up on 1 November are the two Holiday Sweets sets, each containing four shades for the eyes, lips and cheeks. These will retail at 5300yen each. 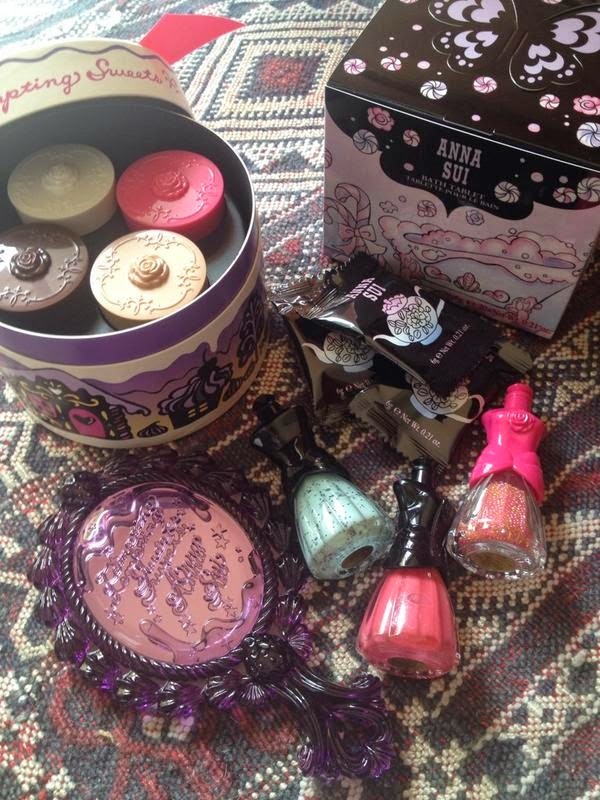 There will also be a limited edition mirror, bath tablets and nail polishes to be released on 4 December. Pic tweeted by Abe Sawako.